The Separation of the Spiritual from the Physical has begun. What is going on right now? Can things get worse? The spiritual tenet of kabbalah that has been lost on everyone is that when looking to solve a physical problem the only solution is a spiritual one. You can’t solve physical (material) problems with physical answers–throwing money at a situation only throws money away, but I guess we’re all learning that lesson the hard way. And there’s a reason that we’re all learning it now. The Torah (Bible) set up a system for us, gave us a time frame, and the tools with which to navigate through that system and time span. Only we’ve chosen not to follow that system and to ignore the tools and laugh at the time frame. It’s time we pay attention. It’s no coincidence that people are being separated from their physical belongings and at astounding, imperceivable, rate. How many times have you heard dumbfounded people say “Who could have foreseen this?” in the past year? The Chronicles of Esau in Genesis 36:1-43 contain a lot of names; why is this important to us? Many of the righteous mentioned so far in the Torah have had their own Chronicles (books) listed, but why should Esau have one? Wasn’t he the hated, bad seed brother? While Vav (V) is the most numerous letter in the Torah, there’s preponderance of them in this chapter 36. Perhaps since vav(V) has the numerical value of 6, and 36 is 6 x6 and the sum of all the integers from 1 – 36 = 666 there is some logical connection to Genesis 36 that we can find. Nevertheless, the curious phrase, repeated several times, that “Esau, that is Edom,” “AShV HVE EDVM” seems to want to tell us something and each of the 3 words does contains a vav (V), making VVV or “666 leaving us with (AShHE and EDM) or the numerical value of Shalom, peace (376) and Adam, whose total gematria is 421 + 3 (kolel for the 3 words) = 424, that of Mashiach Ben David. We know that 666 is tied into the coming of the Messiah and the dates 5778 HC (2018 CE) from the kabbalists in a good way. And we know that because of Revelations, the Christians (Edomites) have tied it in in a bad way, but if you email us we’ll let you know what Kabbalah reveals about that ominous number of the beast prophecy. We know from chazal and what is also obvious from the Torah that everything happens in cycles of seven (7), it being the last, or malchut day. And on the seventh (7th) day we refrain from the physical and indulge in the spiritual. So Esau being within the very last word of the 7th day, the very end of the cycle might be hinting at that very end of days, when the spiritual will be separated from the physical. Also we should note, that when we separate Esau from (La’asoT) “LAShVT” we are left with LT of numerical value 430, that of the Hebrew word for soul, nefesh. Edom (EDVM) is also Adam (EDM) spelled with an extra vav (V). And thus “AShHE EDM” could be “AshH EDM (to make Adam). But what does that mean? The Arizal explains that the 8 Edomite Kings represent the physical aspect of the sefirot. To understand this we must first understand that in the Kabbalistic scenario of the vessel and the light, the vessel is also made of light and thus the same thing can have have two seemingly opposite aspects, and indeed needs to have it for existence in our world. In a sense, our world cannot hold true purity which is why the light we receive gets filtered down through all the sefirot (dimensions) and which is why the Torah is so deeply encoded behind so many layers (or veils) of truth. Esau, that is Edom, represents the Physicality, the vessel aspect of the light, which is why Esau and Edom, etc had to be spelled with the the letter vav (V). Because, as it is known, the vav (V) plays the role of channel, and a vessel cannot channel light, only receive it. In Genesis 36:31 it says, “These were the Kings that reigned in Edom before any Israelite King reigned.” which is saying that the Edomites must precede the Israelities in the land of Malchut (kingdom), as physicality must make a vessel to hold the spirit. Edom is the physical Adam. Adam is the spirit (ruach) and if you recall from previous posts that Adam (EDM) is the spirit of Adam-David-Mashiach. Adam also held (was a composite of) the 600,000 souls that journeyed 2018 years from Creation to the Covenant of Abraham that lived through 430 of exile until receiving the Torah together in 2448 HC. After reading a long list of Esau’s descendants broken down by Kings and chiefs, the last verse we read this week before the Haftatah portion is Genesis 36:43, “These were the chiefs of Edom, according to their settlements in the land they occupied. This was Esau, the father of the Edomites.” The Torah uses the phrase “in the land they occupied” to emphasize that it was temporary housing, like the body for the soul. And the Torah uses the odd wording “This was Esau, the father of the Edomites” to show us all (the descendants, including the 8 Kings) were part of one whole. This is important because a whole can be lifted at once, where as separate parts must be addressed one at a time, a much more time consuming and laborious process. Curiously, since both Shalom and Esau have the same regular numerical value if we substitute Shalom for Esau, and use the sofit value for Shalom, the phrase becomes “Shalom father of Edom”, or “Peace, father of Edom,” and it still adds up to 1000. Now, since we know the phrase is connected to keter, the highest level, it makes sense that the first two letters of the phrase (AShV) add up to 370, as in the 370 lights of Arich Anpin that emanate from keter. And since the last 8 letters (AShV EBY EDVM) add up to 70, we can begin to understand that the 70 nations described by the Zohar come from the 8 Kings, and the key that linked them to the light of the upper worlds was the vav (V) in Esau (AShV). And adding to this separation of the physical from the spiritual we know that there are exactly 600,000 – 408 composite letters in each sefer Torah, not 600,000, yet we also know that these correspond to the 600,000 Jewish souls at Mt Sinai, and the different is 408 letters. Now, while 408 x 6 (vav) equals 2448, the year the Torah was received by the 600,000 at Sinai, 408 is also 51 x 8 or the value of Edom x the 8 Kings. Without the physical component, there would be nothing to house the much larger spiritual one, which also shows us that it only takes a small physical action to activate a lot of spiritual benefit. If Esau was so hated, why does his name have the same value as that of peace (shalom)? Because Jacob (Israel) used the tools of the Torah and spirituality to make peace with him. When Jacob overcame his fears and reached into his soul to bring Esau unconditional love, Esau changed from killer to brother and instead of biting Jacob’s neck, he hugged him. Jacob worked very hard for 21 years to gain his physical wealth and he sent Esau a large portion of it as a gift, but it wasn’t until he overcame his fears (ego) and used his spiritual insights that he won him over. After all, what did Esau want with Jacob’s physical gifts; he could have slaughtered him and taken them all. There is a reason this lesson is coming alive today. Knowing the Israel and Esau were reunited in peace 3500 years ago, lets see what happens If we add Israel (541) and Esau (376) and take away the vav (V) of Esau that wasn’t needed once he was united with Israel (the central column channel); we get 911, the numerical value of “the Beginning.” The beginning of what? When the Torah lists the generations Of Adam, Noach, etc it rarely says someone died, but in contrast in listing the generations of Esau, all the Kings died, except the last one, Hadar (HDR), whose name signifies splendor, majesty. According to the Arizal, the 8 kings represented the sefirot in the time of Bohu V’Tohu and were shattered, giving way the purer more flowing structure of the universe we know as the world of tikune (correction). Moreover, the 8th King he said corresponded to the sefira of Yesod, which was left open for the other vessels/sefirot to flow through to form our universe once they were filtered. We know that it’s part of our correction to recoup those holy sparks that fell from the worlds of the 8 kings and that were scattered among the 70 nations, and when enough of them have been gathered, Moshiach (the Messiah) will come to elevate the whole plane-of-existence, which is why we’ve been in exile. We also know that Israel has been in exile amongst the 70 Nations (which spiritually are the branches of the tree-of-life) for much of the 3330 years (66.6 jubilee years) since the giving of the Torah and certainly since the Second Temple was destroyed in 70 CE (3830 HC). ut even before the Second Temple was destroyed Israel lived under Rome, also known as Edom, so as indicated by the first letters of Esau, father of the Edomites, (AShV EBY EDVM) which stand for A (70) and the two alefs (E,E) for two elef, or 2000, we have 2000 years among the 70 nations. And since truth is 21, or in actuality the Name of G-d Eyheh of value 21, squared, the 21 verses of the Haftarah portion associated with this reading of portion Yayishlach is directly related to the phrases and verses above from that portion. And in Obabiah 1:1-21we find the ultimate destruction of the physical world (the mountains of Edom) and the triumph of the spiritual (tree-of-life) reality. So this is “truth,” and we can see the final outcome, but what about the separation, the process? It’s no coincidence that the final redemption is prophesied to occur in 5778 HC, or 2018 CE, 3760 years after G-d advised Abraham about the final redemption and made a Covenant (brit) with him called the Covenant of Abraham, and/or the Covenant of Halves. And while Esau was the father of the Edomites who became the Christians, it’s no coincidence that the birth of actual Christianity occurred in 3760 HC (0 CE) and/or that 3760 is 10 x 376, the value of Esau and also of Peace, the Peace that came from the spiritual union of Israel and Esau. If this union was made in Peace, why hasn’t there been peace? Because it was a spiritual bond and once Israel (Jacob) became tied to to Esau (the physical plane) the physical aspects began obscuring and eventually overwhelming the spiritual process. And the more that happened the greater the length of time between cause and effect, and without that causal feedback, the benefits of peace over personal gain became too difficult to fathom. But in the last and final 70 years, since Israel became a nation in 1948 CE (corresponding to Abraham’s birth in 1948 HC) and the divine process of separation had begun, things have reversed themselves and the time between cause and effect has necessarily sped up. Are we talking about separating the people? No, that’s a physical separation. We’re talking about the separation of the spiritual out of the physical. We’re taking about separating (elevating) our spiritual nature from our selfish materialistic physical nature and desires. And we’re talking on an individual bases, within ourselves. Even though most of the world discovered religion in the final 2018 year period, in a very real sense this was the physical/material period and the first 3760 years was the spiritual one. If you want to look for Bible code signs, I suppose you could say that 9/11 heralded the beginning of the end, of the final 18 year period when one way or another the holy sparks would have to be separated out and elevated, and to say the period hence has been an unsettled one would be an understatement. What has begun is the forcefully separation of people from their material belongings, and the process has been speeding up as we get closer to 2018. Was the location of the 9/11 attack a coincidence? In order to break through the illusions of physical reality to the tree-of-life reality, what is being separated is the material (physical) from the spiritual; people from their belongings. And where were those belongings concentrated? In 2001, 42% of all the profit in America was made in financial services through Wall Street. So was 9/11 a divine act? Everything is a divine act, but not usually a spiritual one. Hurting someone you don’t like is not spiritual; it’s the worst kind of physical act. Helping someone, like Jacob did with Esau is the spiritual blueprint. After 9/11, the US economy alone lost a trillion dollars. Then another trillion went down the black holes of Iraq and Afghanistan. Another trillion was siphoned off to import hyper-priced oil from the mid-east and other oil rich nations that tell us daily how much they hate us. Next, after a few localized real estate bubbles started bursting the country took notice that people were being separated from their homes in foreclosures, and instead of applying compassion and solving the cause of the problem, the government and the financial institutions and the myriad academics that advise them, all decided to throw money at the symptoms–to give money to the very institutions that were kicking them out of their homes. How do you think that was going to play out spiritually? For the past 2000 years it probably would have been a good bet–give money to the rich and powerful and they’d see to it you’d stay in power, while the poor and meek wouldn’t be heard from again, and if they were heard from so much time would have passed that cause and effect would have been completely divorced in people’s minds. Not anymore; cause is becoming effect. What actually happened next was a downward spiral, where tens, then hundreds, and now over a trillion dollars of the government’s (the people’s) money was thrown away and lost in trying to prop up misguided corporations that were still trying to profit from people’s misfortune. Meanwhile, even more people lost their homes, and then still more. At the same time that everyone was trying to solve physical problems with ill-advised physical solutions, the marketplace (Wall Street, where 9/11 first hit) lost about $7 trillion in value, gone in months, weeks, days, thus washing away years and decades of savings and investments by people who had planned on living off those physical assets. Then came the bankruptcies and the layoffs, and thus even more separation of people form their belongings. The spiral became faster as the newly unemployed couldn’t pay their mortgages. And the big talk in the papers was whether the Wall Street bonuses to all those people who cost everyone trillions would decline by half or only by a third? So in the midst of this financial turmoil, the criminals and fraudsters couldn’t maintain their rouses and the headlines shifted to people who had had their life savings stolen, wiped out overnight. And we voted in a new government, that somehow seems to be shaping itself with most of the same players as the previous governments that made all these wrong decisions. And what’s their plan: throw more money at it? A few hundred million more here, and a trillion in infrastructure construction there–rebuild the physical. Have you ever seen government contractors repair roadways and potholes; what should take days or weeks always takes years and never ever gets completed. Even if all those white collar office workers and blue collar assembly line employees who lost their jobs and dolare in danger of losing their homes would possibly find work amongst the illegal aliens on the construction sites, that trillion dollars will be lost in potholes before the first one ever gets filled. And where are all those trillions coming from? Printing presses. That’s called devaluation. The government is wastefully devaluing all our hard currency, thus punishing everyone, even those that didn’t invest in the stock market or real estate market. The physical/material continues to evaporate. And this just describes what’s happening in the US. The problem is global and being played out similarly all over the world. As our charities dry up and our funding of relief efforts around the world stop cold, millions will suffer even more than us. And as our penchant for importing rather then manufacturing stops at our empty wallets every nation and village of the world will feel the impact, many with economies far more fragile than ours. And it’s a global spiraling effect, as they import less from us, we hurt more and contract even further. Meanwhile, people must eat, and anger spreads. Health care languishes because people are forced to make choices and food comes first; next comes the health crises, the viruses, pandemic diseases, and unchecked plagues. G-d forbid! Sure there was. Katrina. That was huge missed opportunity for our government and institutions to show compassion. So is the end in sight? Sure it is. The year 2018 CE. But as for a solution to our physical problems; it’s always been there. Unconditional love. The plight millions of us are suffering now can only be felt on an individual basis and can only be solved that way too. We don’t feel compassion at hearing about a million starving people in Africa; we feel it (an entire nation feels it) for a stranded whale on a beach. Why? Because we don’t have the capacity to comprehend more than a small dose of suffering. That doesn’t make us spiritual; it makes us human. So we must do what we’re capable of. Instead of thinking about how to save 10 million foreclosures, we need to feel the suffering of the individual and his family that are losing their single home. We must put a stop to that. We must use our physical world to feel the pain of our neighbors and to physically help them with our own money and our own hands, one by one, each of us. We must share what we have, while we still have it. It’s simplistic, as the spiritual always is, but if the government was as concerned for the individual homeowner as it was for the share price of Goldman Sachs none of this would have happened. If they would have created a superfund like they did years ago to clean up the toxic dumps, and put their money in conjunction with the money of the financial institutions that had the most to lose towards helping the 5% of the homeowners that needed immediate help and easing the situation for another 5%, we’d all be physically fine right now. And yes they’d have to put in some regulation and controls to avoid making more bad sub-prime loans in the future, but if they did that with the heart to protect people rather than their assets under management it would all work out fine. The outcome of our actions are directly linked now to the consciousness behind them. Could it be any plainer, any simpler, any clearer? This is how we separate the spiritual from the physical. That message was reinforced by more than a billion people since the year 3760 HC (0 CE) yet in crisis after crisis, opportunity after opportunity, it was lost. Yes, the world became very religious in the past 2000 years, but where was the love? Where was the spiritual? What were the “revolting practices with which they worship their gods,” from Deuteronomy (Devarim) 20:18. It was idol worship, the worship of money, of the material. The Titans of Wall Street became the gods, and the rock stars, sports heroes, movie stars, anyone with huge conspicuous wealth. We worshiped them. We worshiped the McMansions, the home theater systems, the exotic vacations, the giant SUVs, and the designer clothes. We forgot our human dignity, our soul, the aspect of G-d and the souls within our suffering brethren. It’s not too late. It may be more difficult to find the physical means to help someone now, but those that need it are that much closer to us. We must all take our hands out of our pockets and reach out to one another. B”H May G-d help us to help each other that we may all elevate above our physical trappings and receive Mashiach (Messiah) consciousness together. 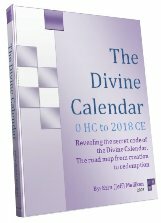 If you’re interested in the prophecies and Biblical dating or how 666, etc fits in to date of the final redemption in 5778 (2018 CE) given by chazal please read The Divine Calendar available at www.DivineCalendar.com where it’s all explained. 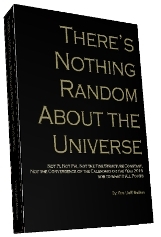 Author Jeffrey MeilikenPosted on December 16, 2008 April 2, 2019 Categories RevelationsTags 000, 2018, 2018 ce, 2448, 370 lights, 376, 3760, 424, 430, 541, 5778, 600, 666, 70 nations, 8 kings, 911, Adam, arich anpin, arizal, Bible, bible code 9/11, covenant of abraham, covenant of halves, divine calendar, edom, eight kings, Esau, final redemption, geula, Israel, jubilee years, kabbalah, katrina, Mashiach, Mashiach Ben david, messiah, messiah prophecy, Moshiach, nefesh, noach, Peace, prophecy, Revelations, Second Temple, shalom, soul, spirituality, the beast, tikune, Torah, tree-of-life, zohar1 Comment on The Separation of the Spiritual from the Physical has begun.